Al Hamra is a Lebanese & Middle Eastern restaurant located at Holland Village. They have a special set menu at $60++ for 2 people – it comes with hummos, fela-fel, pita bread, and grilled platter of Lamb Chops, Shish Taouk, Kofta Kebabs, Grilled Red Snapper Fillet and Shawarma. I’ve mentioned this before, but I want to try Lebanese food in Singapore after having it during my Sydney trip. With two Lebanese & Middle Eastern Restaurant in Holland Village, there’s no excuse for not trying. The food at Amici Italian restaurant wasn’t too bad, but the open kitchen made us smell bad after dinner. If you are looking for a Holland Village Italian Restaurant, I like La Nonna for their 50% promotion during lunch. 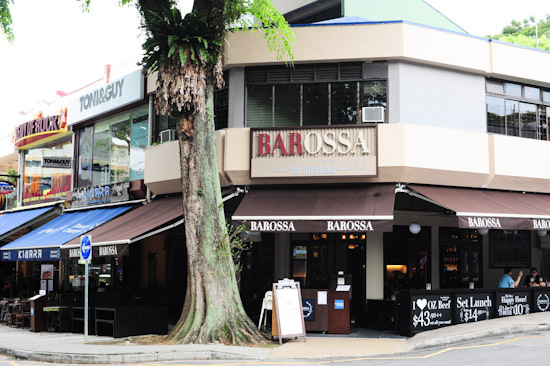 A new face in Holland Village, Barossa is an Australian-inspired restaurant and bar which has another branch at Esplanade Mall. They currently have an eat-all-you-can Australian Beef promotion at $43.90++/pax. 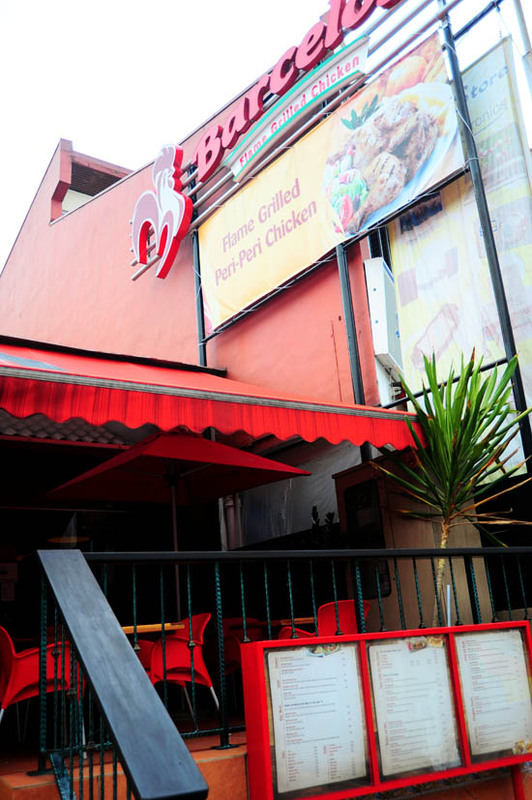 With branches in Vivocity, Novena Square 2, and Holland Village, Barcelos is the place to go for flame grilled chicken. I’m salivating at the thought of having the delicious chicken! Other than the popular Mexican places like Cafe Iguana, Margarita’s at Dempsey, there aren’t that many Mexican restaurants in Singapore, and unfortunately Mexican food is not cheap here. One of my friend mentioned that Cha Cha Cha Mexican restaurant is a pretty reasonable place for decent Mexican food, this will probably be the place that I will check out next. 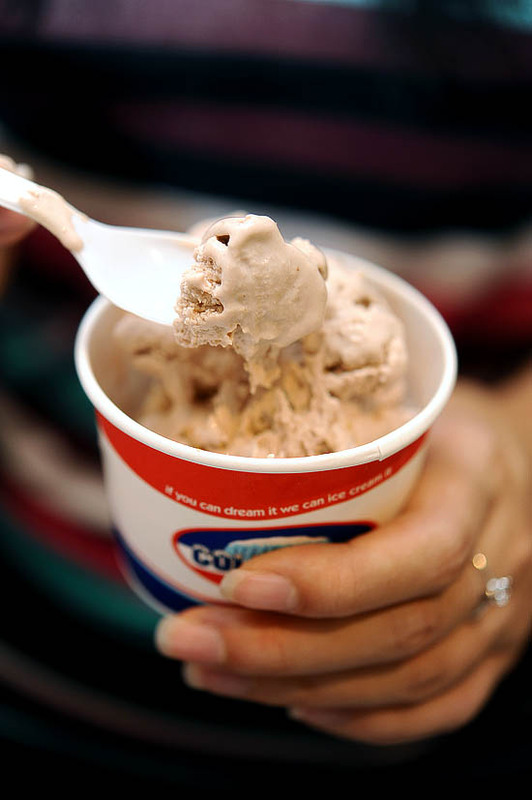 Having ice cream from Cold Rock Ice Creamery in the middle of the night is a damn precious memory. Check out my list of Ice Cream Places in Singapore, for other ice cream options in the west. I never like coffee/cafe chains like Coffee Club or TCC the coffee connoisseur as they are everywhere. But I have to admit, the Coffee Club’s Mud Pie is hugely satisfying. 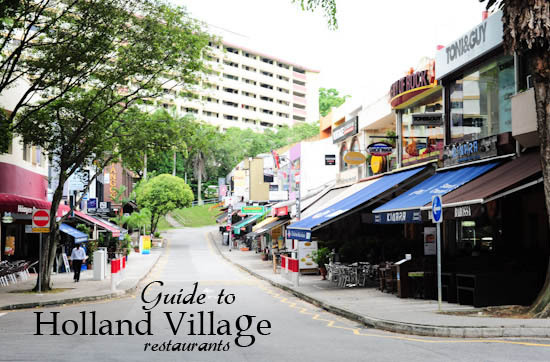 Plus, their location at Holland Village is hidden at the end of Lorong Mambong. One of the newest additions to Holland Village, Crust Gourmet Pizza Bar is one of Australia’s fastest growing franchise. 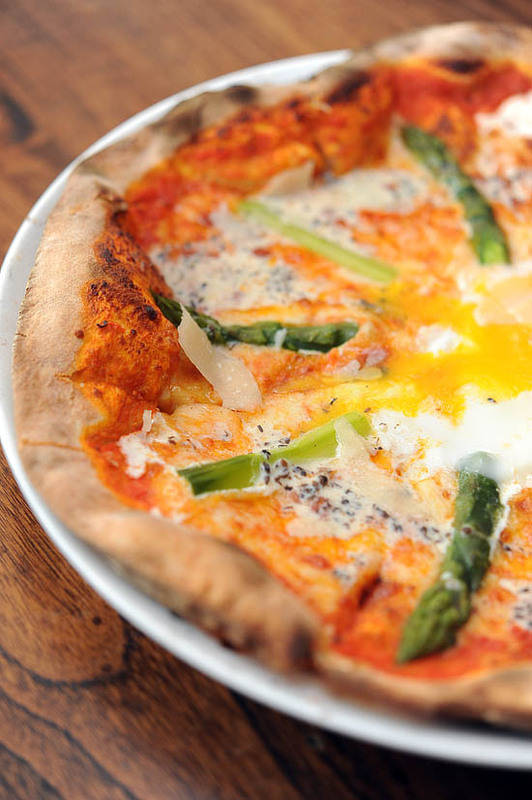 On their menu, they have a good selection of healthy gourmet pizzas: 13″ x 8″ from $21-25. It’s actually not difficult to understand why Crystal Jade La Mian Xiao Long Bao is doing well. The food is decent, and they are reasonably priced. The Crystal Jade Steamboat Buffet is available at the Holland Village branch, and it comes with free-flow xiaolongbao. Amongst the 11 Crystal Jade Kitchen branches in Singapore, the one at Holland Village is the only one that opens till late night. 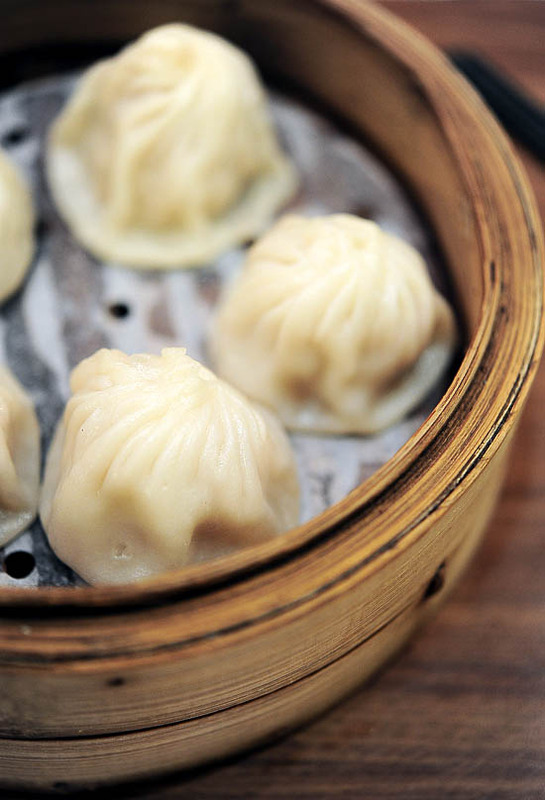 If you don’t feel like having steamboat and xiaolongbao, how about supper at Crystal Jade Kitchen? El Patio is the perfect place to chill out if you are craving for Mexican food. They have a Margaritas special at just $7++ every Tuesday. Essential Brew has a students’ special from 11am to 6pm daily. Enjoy 3 baskets of finger food at $13.95 with 1-for-1 drinks and free wireless access. What do we need to say about Everything with Fries? With successful new branches at Holland Village and Orchard Central, they are a strong contender for the Aston Specialities throne. Renowned for their steaks and great renditions of English classics, Fosters is situated at a quiet corner in Holland Village. Their $10.50 Devonshire cream tea set is the one of the cheapest afternoon high tea in Singapore. Love it or hate it, Frolick is undoubtedly one of the yogurt places in Singapore to look out for. Gyu Kaku Japanese BBQ restaurant specialises in yakiniku, and while a meal here is not cheap, I would recommend it if you are willing to splurge. La Nonna Italian restaurant has an ongoing lunch promotion, 50% off their ala carte menu for their weekday lunch. Personally I think that it is value for money, and the lunch promotion is available at both the Holland Village and Namly Place outlet. MU Parlour is a cafe serving desserts, burgers, and cocktails. Prices range from $4 to $6.50 for a dessert, while you can get their ‘gourmet’ burgers for $13 to $16. 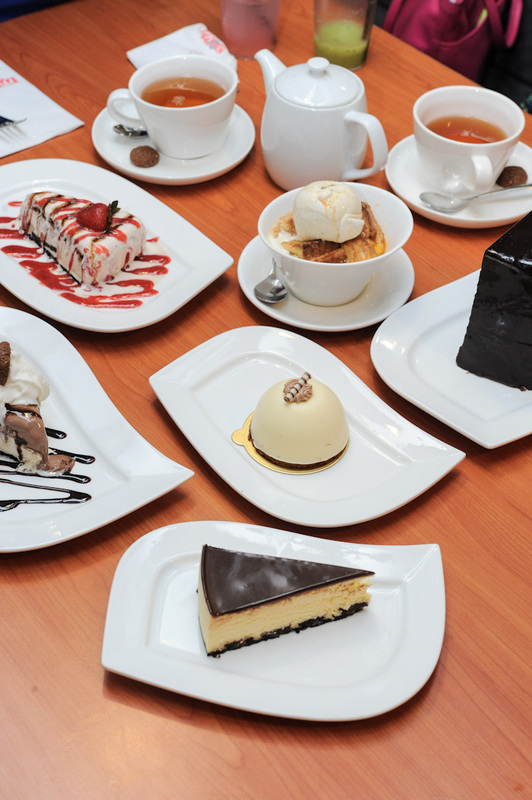 If you are craving for some sweets after dinner, nydc’s flagship restaurant at Holland Village is the place to go to. 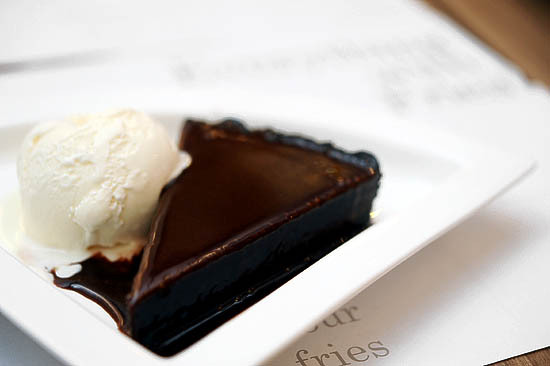 With over 30 dessert offerings, there is bound to be something for everyone. OverTime is a restaurant chain from Malaysia with 16 outlets. Live performance starts 8:30pm till 12mn everyday except for Sundays. Petit Provence bakery has the best chocolate wassant and their anpan is simply unbelievable! Enough said. If you are looking for a place to chill out, Siem Reap I restaurant by Indo Chime group has a 1 for 1 drinks promotion all night long. The only reason why I have been to Ichiban Boshi and not Sushi Tei is because of the latter’s everlasting long queues. Maybe Sushi Tei is really fantastic, but to queue half an hour just to get in the restaurant? That’s not my style. So I think the only chance for me to go Sushi Tei is a) go during off peak hour, or b) come to the branch at Holland Village. Another good chill out place at Holland Village, Tango’s Restaurant Happy Hour starts at 3pm and it lasts all the way till 9pm. Hoegaarden is 1 for 1 all night, whilst a pint of Asahi goes for $16.50++. Wala Wala is a really popular bar/watering hole that’s good for chilling out with a good of friends. Come every night, you will see that the place is filled with people drinking and catching a game on screen. It seems like Wendy’s is plotting to take over the island by storm. After Lau Pa Sat, they have opened branches at Jurong Point, Liat Tower (current made unavailable by the recent flood in orchard), and now Holland Village. Interestingly, they have took over the premises of several Burger King outlets. Wendy’s on the rise? I’d certainly not bet against it. 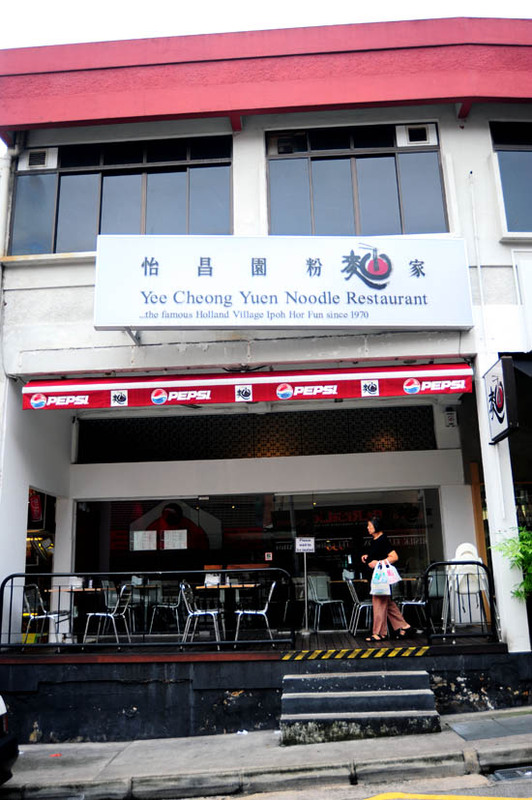 Over the years, Holland Village has seen so many restaurants come and go, but I will always remember Yee Cheong Yuen noodle restaurant which has been there since the start. I’m not a big fan of their Ipoh Hor Fun, but it’s nice to see a familiar face around after all these years. I recently found out that the noodle house actually belongs under the same management of Palm Beach Seafood at One Fullerton. Ramen restaurants have been on the rise recently, and with so many different ramen places in Singapore, which one do we go to? Yoshimaru Ramen Bar is a pretty decent place to have a quick dinner if you are at Holland Village. Try the Traditional Hakata Ramen ($11). 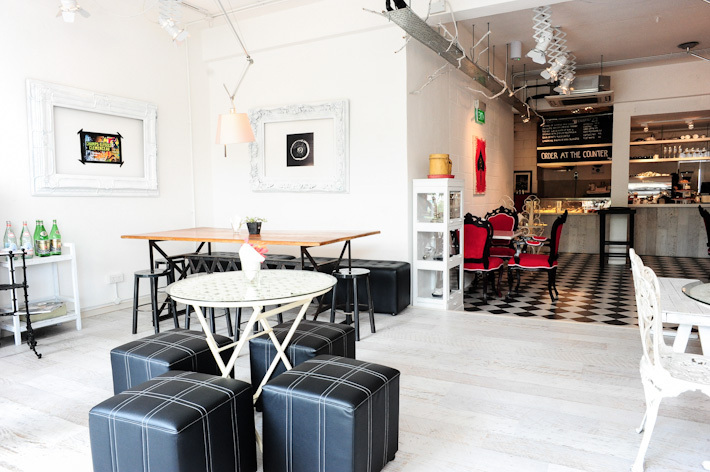 Located at the fringe of Holland Village, 2am: Dessert bar is at the second level of a shophouse. Chef Janice Wong been making waves in the Singapore Food scene with her interpretation of sophisticated “fine dining” desserts. Just the perfect place for desserts in Singapore after midnight, no? I hope this list of restaurants will be useful when you are checking out the Holland Village restaurants. Now, it’s your turn to tell me: Which is your favorite restaurant at Holland Village, and which one are you going to try next? I think there’s something that you might like in Cha Cha Cha Mexican Restaurant. Churros! Hey! You are not being fair to the eateries at Chip Bee Yoshimaru’s ramens are fab and I love their mini burgers too. This is really a good guide! I like Yoshimaru ramen, they are not the best but very satisfying and have one of the best ramen eggs around. the sushi teh at holland v is one of the worst that i have been to. seriously. the chawanmushi was bland and tasteless and my fren even found hair in hers! the udon and ramen and fish were really bad. service was horrid! 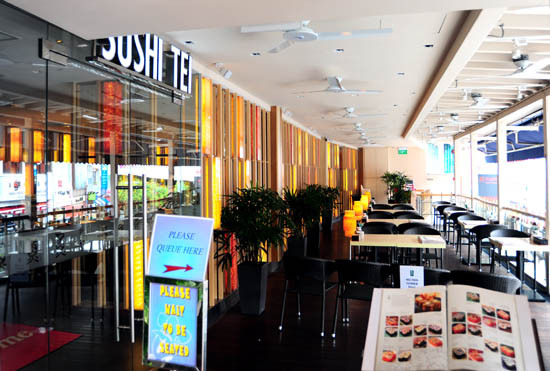 sushi teh at vivocity is much better. Provence, Provence, ah…simply fantastic bread, Asian style. Not the place for rustic European bread. I like Fosters cos that’s probably the only place to get some decent Brit classics. I’d like to pay 2am Dessert Bar a visit. Heard a lot about it, have to try for myself. And yes, as Puff mentioned, Chip Bee is just across the street with nice eateries as well as a great place to shop for cookware. i like yoshimaru! i’ve been there 4 times and i always ordered the tan tan ramen. i love the thick and and nutty soup (: the egg and char siew are nice too! Char: You serious? A Mexican restaurant has churros? OMG! Jo: Thanks! i tried santouka’s ramen eggs, they were so soft and boiled to perfection! Hwee: SERIOUS? the standards differ for sushi tei eh? i heard Sushi tei Paragon is pretty good, is that true? crunchychoconut: 4 times? wow! is their soup the pork or chicken base? 2am serves the BEST churros! Comes on the side with their indulgent Hot Chocolate! Oughta give you a try! I need to go back to Holland Village again. The only time I go there is for Cold Rock. Psst, you left out Cafe 211.
you missed out on my favourite zichar restaurant in hv! hard to miss the coffeeshop at holland village. the hot plate toufu is TDF. saffyz: hehe thanks for the tip-off! yuene: OH YA I totally forgot about them! have u been there before? keith: Which one? the holland drive xo fish head? Do you know which of these are halal? i.e. Muslim friendly? Bringing a bunch of friends around for a fiesta, some among us will be Muslim. @Lindsey: The 2 Lebanese & Arabian restaurants, and possibly Barcelos. Oh! 2am dessertbar for sure! The Yoshimaru Ramen Bar’s Ramen taste very good and value for money too. All in Ramen $15 and its filling and tasty! Also try their char siew platter. Their char siew is very tender made.. Essential Brew has closed down. Hi you missed out the katong laksa next to Yee Cheong Yuen! It’s still one of the best katong laksa stalls around!! Wow, thanks for your review!! U’ve forgotten the hidden 211 Roof Terrace Café! FYI, 211 Roof Terrace Café is going to have 50% discount for every 1st Wednesday of the month for every meal and that’s today! Hi Brad, do you know if Mykii has shifted or has it closed down for good? Hello Joy, if i am not mistaken, Mykii has closed down for good. Kinara is probably the best Indian food I have ever tasted. No Kidding, I have dreams about the place. I live in Seattle and even though we have some very good Indian places around here, everyone I try (while very good) they still fail in comparison. I cant wait to go back next time I visit! fyi, essential brews has closed down!! Hatched is opening in Holland Village! &you missed out the nice katong laksa beside Yee Cheong Yuen Noodle Restaurant. Can u put some information how to get to Dempsey Road, Holland Village, etc..
Maybe like the nearest MRT or how to get bus from orchard, because some people are not Singaporean or maybe they don’t know SG very well like me. What about d good cafe? Been left out or something? Super tasty broth. Topping up of soup costs S$3.00!! OMG ! HOW OUTDATED can u be with your INFORMATION on HV Restaurants? Where is the Consistency & Timeliness of your Information??? has a students’ special from 11am to 6pm daily. Enjoy 3 baskets of finger food at $13.95 with 1-for-1 drinks and free wireless access. Gyu Kaku @ Holland Village shifted to OneKM @ 11 Tanjong Katong Road (: & just a heads up, Gyu Kaku @ OneKM have a different menu compared to HV as HV is Guy Kaku Prime while OneKM is a casual outlet and the menu is much cheaper ! Hi, I’m thinking of dropping by La Nonna for their pizzas together with my boyfriend but I’m wondering if the place is halal-certified? Thanks! I want to bring some friends to El Patio and one of them is a Muslim. So I was wondering if El Patio is Halal? ?